Solarworld is on the brink of collapse and is looking to sell itself. I have remained quite critical of Solarworld’s prospects in the past and had even said that CEO Asbeck will never get a salary. Solar manufacturing in western factories has become impossible due to the cut throat competition from Asian countries. Even the cheapest manufacturers are running massive losses due to the massive oversupply. Solarworld has most of its factories in Europe, where the costs are very high and it is a no brainer that they cannot survive in their existing structure. Solarworld has not given its financial results for Q412 till now and have indicated that they made more than 500 million euros in losses in 2012. Despite making a huge effort to get anti dumping duties passed by USA and Europe, Solarworld will not reap any benefits. Millions of Chinese solar panels are still selling in the US markets and Europe is yet to pass a duty. Solarworld might not see the fruits of its anti-dumping labor as it might not exist. The company does not have any special technology or manufacturing advantage that will make it attractive to a buy. Recent distress sales have been done at very low prices with LDK Solar selling its massive 2.2 GW new solar cell factory for 10% of its cost price. Solarworld is looking at the Qatari government for a rescue as the company has already got a JV to build a huge polysilicon plant in the kingdom. The stock remains under pressure like the rest of the European solar stocks. I don’t think that Solarworld’s solar capacity has much value though the brandname can offer some value (that will be quite small). Read about Solarworld Solar Panels Review. Solarworld, which is one of the largest European solar companies surviving the current downturn, is in a bad shape. The company faces a large debt load which it cannot repay because of continuing losses. Despite its leadership role in getting duties imposted on imports of Chinese solar panels, the company has not benefited as imported panels continue to enjoy a huge advantage over US made solar modules. However the company’s competitiveness has been seriously eroded despite these solar trade wars. The company is currently in a desperate situation to survive with its stock price touching new lows. Solarworld CEO Frank Asbeck has announced that he will stop taking his salary of half a million euros till his company returns to profitability again. 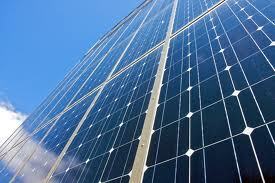 Solarworld was the biggest solar panel manufacturers in the world till recently. However a change in industry paradigm, with a huge supply glut of cheap Chinese solar panels has made Solarworld an also-ran. While other big German peers Q-Cells have gone bankrupt, Solarworld soldiers are still fighting on a losing game. The maverick CEO has made bold statements in the past as well. The most recent being that his company was valued at more than 4 euros a share despite its stock price touching below Euro 1 recently. Though Solarworld solar panels (Sunmodules brand ) is of good quality the cost differential is too big. It too has major debt problems and profitability remains a big question. In light of the anticompetitive market environment, the Management of SolarWorld AG (ISIN: DE0005108401) has initiated an external experts’ review on the company’s business plan in particular with regard to its anticipated earnings and financial planning. On the basis of the business plan, checked on plausibility by the external experts, the Management is of the opinion that serious adjustments on the debt side are necessary, in particular with regard to the bonds (ISIN XS0478864225 und ISIN XS0641270045) and the assignable bank loans. The Management will permanently review the going concern prognosis and will initiate solution orientated discussions.